I have been working on this model for nearly a year now. Hoping to apply clear coat this week and park her on the shelf. 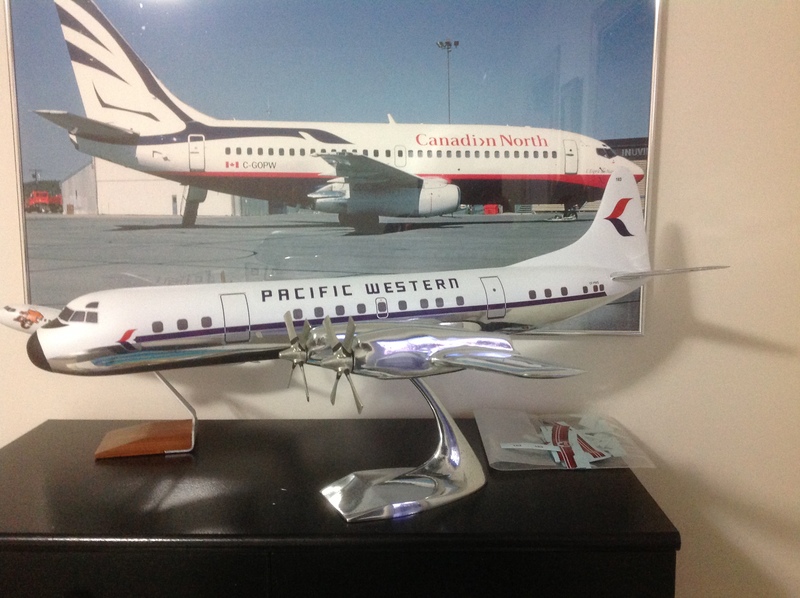 I photographed the entire PWA Electra fleet back in the seventies and my slides were a great source of reference. 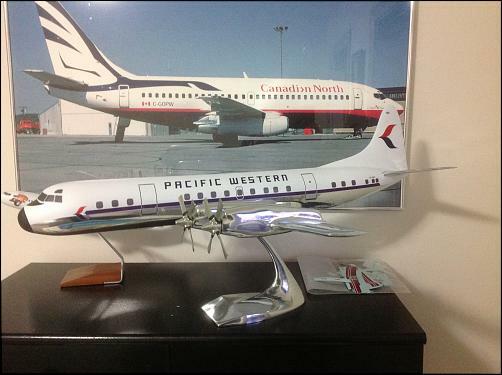 CF-PWG was the only full pax version that PWA operated. Re: PWA L-188 Electra 1/46 scale aluminum casting. Very nice model and excellent work! 1/43 scale? Thats a gorgeous model Tony. Very well done. Excuse my ignorance as I do not restore models. The first image has the model completed painted with a primer paint. Then the model appears to be polished aluminum. 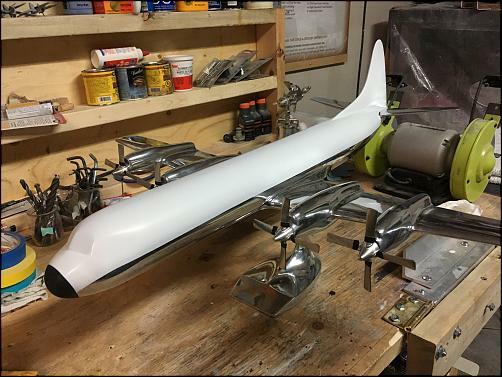 Do you paint the chrome finish on the model? What an absolutely amazing model. Well done. Sorry I should have arranged the pictures properly! 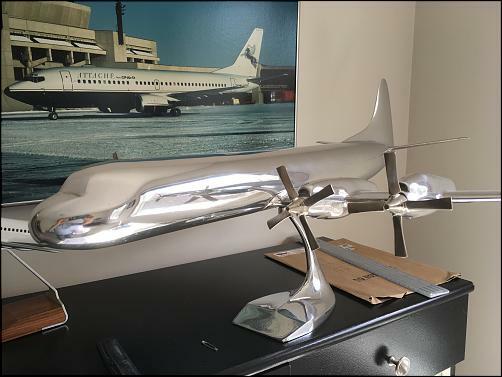 She was delivered as a fully polished aluminum casting. 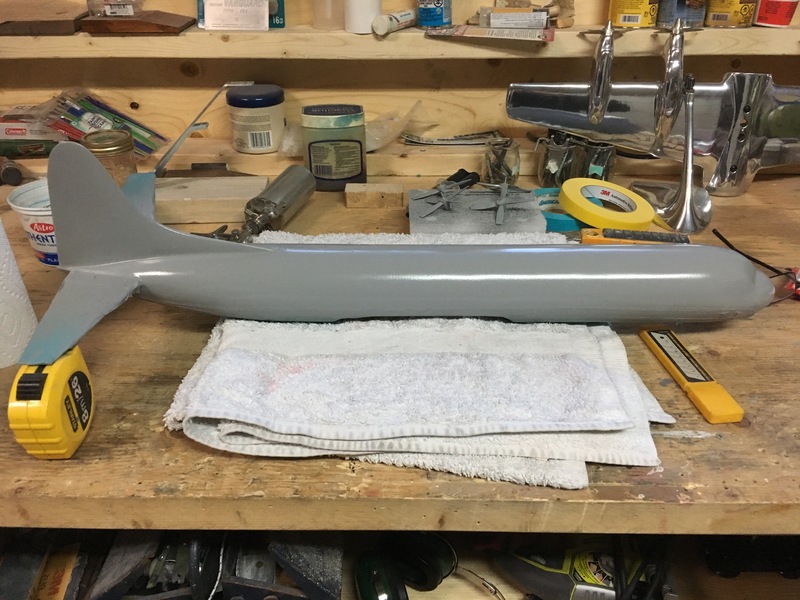 I then applied the primer, and finally the paint. Decals came from Ben at V-1, he really is a great guy to work with. It's a great looking model. Thanks for posting the pics of the finished product. Too bad you're not a little bit close to me as I have a couple of those Electras needing your magic! Holy crap that's a gorgeous model. Bravo!